• Hello and welcome to your midweek Purge! 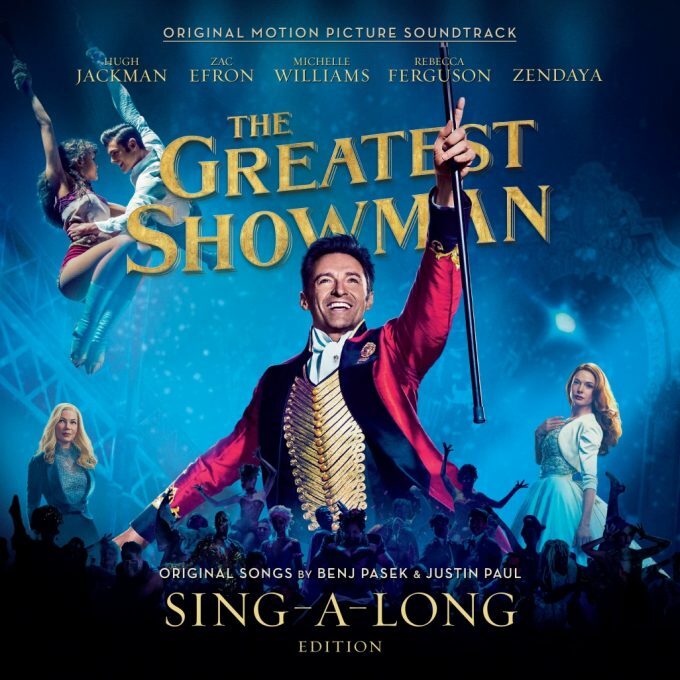 By now you’re probably aware that the soundtrack to the movie ‘The Greatest Showman’ has been an unbridled hit across the world, including here in Australia where it’s just ticked over into double platinum territory (for sales in excess of 140,000 units). As a result, the team at Warner Music is clearly not ready to put the project to bed just yet, confirming the release of a new sing-a-long edition. The deluxe repackage will feature the original album, alongside a bonus disc of special instrumental versions of tracks. Your neighbours will love you for it. It’s due to drop at retailers everywhere on Friday October 19. • Dolly Parton and Sia have teamed up for a new single entitled ‘Here I Am’. It’s the lead track from an upcoming movie entitled ‘Dumplin’, which is set to screen on Netflix later in the year. Dolly has contributed half a dozen new songs to the soundtrack, along with newly recorded collaborative versions of some past Dolly numbers, including this, which featured on her 1971 album ‘Coat Of Many Colors’. Elle King, Miranda Lambert, Mavis Staples, Alison Krauss and even Jennifer Aniston are among others to lend their vocals to the soundtrack, which will drop at retailers everywhere on Friday November 30. • Among the new songs doing the rounds at local media this week are the new Black Eyed Peas single ‘Big Love’, Havana Brown’s latest track ‘Glimpse’, Dustin Tebbutt’s ‘Satellite’ and the new Jess Kent track ‘Girl’, which we covered on Monday morning. Don’t forget that you’ll discover a comprehensive list of the new tunes doing the rounds at media each week on our FACEBOOK page every Thursday afternoon. • R&B performer Brent Faiyaz’ upcoming Australian visit has proved to be incredibly popular. So much so that the team at Live Nation has shifted his Sydney and Melbourne shows to larger venues to cope with demand for tickets. His ‘Sonder Son’ Australian tour kicks off as originally scheduled at Jack Rabbit Slim’s in Perth on January 03. From there, the Melbourne show (on January 04) shifts from Howler to Max Watt’s. The Sydney date on January 05 moves from the Oxford Art Factory to Max Watt’s. Details for Brisbane remain the same; Woolly Mammoth on Sunday January 06. Final tickets for all shows are on sale now. • The good news continues for the upcoming run of A Day On The Green shows; organisers this week confirming that the December 02 outing at Sirromet Wines in Mount Cotton has sold out. It’s the third show to sell out as part of this series, joining the December 01 Hunter Valley and December 08 Yarra Valley dates in selling out. Only limited tickets remain for both the November 24 McLaren Vale and December 09 Yarra Valley shows. • And Teenage Fanclub have confirmed the addition of a Perth show to their upcoming Australian tour. The band will kick off their local commitments at the Capitol in Perth on Saturday February 09 before heading east for two shows in Melbourne and one each in Sydney and Brisbane. A Frontier members pre-sale kicks off at 2pm Perth time today, with general tickets on sale at midday Perth time this Friday.